Rookesbury Consulting provides website design, hosting and maintenance services. We are looking to expand the range of sites which we currently maintain. If you would like more information about the website services which we provide, please contact us. 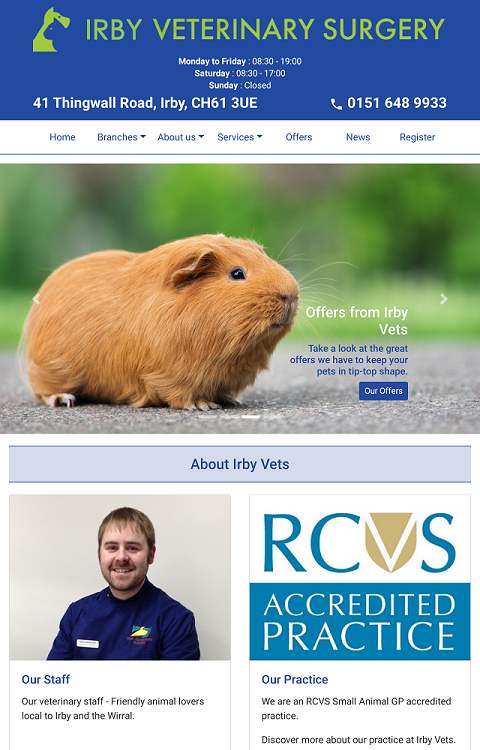 Purpose: To provide details of facilities and services available at Irby Vets on the Wirral. The site is responsive so is easy to use on a desktop, tablet or smartphone. It also includes a number of embedded maps, a photo walk-through, Facebook and blog feeds. Functionality has been added so that the owners may update the opening times, offers and healthcare prices via a password-protected page on the site. 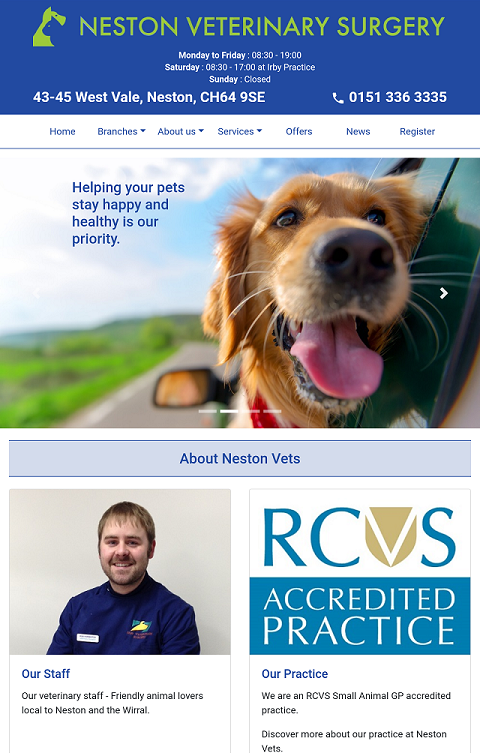 Purpose: To provide details of facilities and services available at Neston Vets in Cheshire. 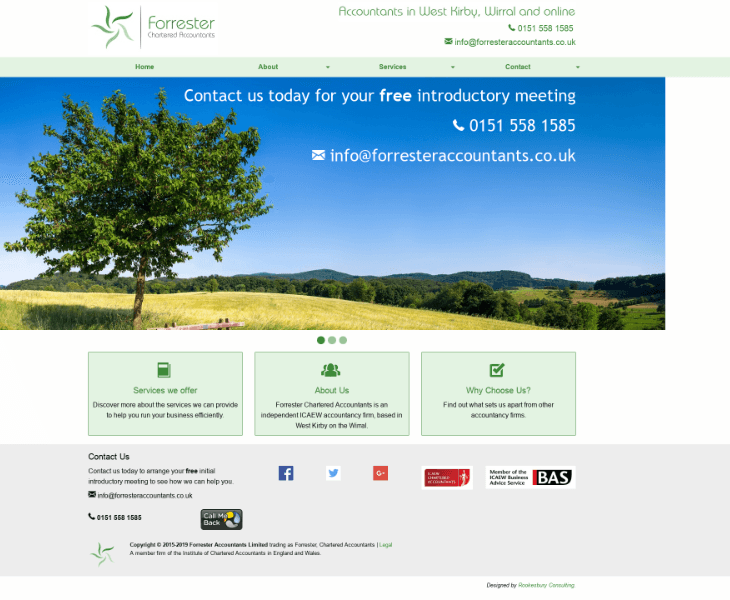 Purpose:To provide details of the accountancy services offered by Forrester Chartered Accountants on the Wirral and online via cloud technology. 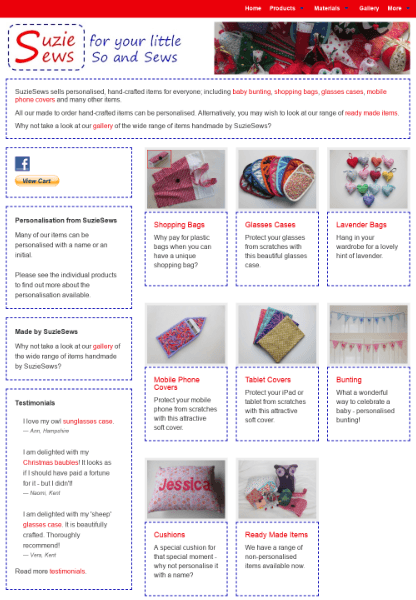 Purpose: An online shop to sell personalised, hand-crafted goodies for small babies and toddlers, including cushions, Tooth Fairy pillows, taggies and bunting. The site allows visitors to order and pay for items through a PayPal shopping basket. 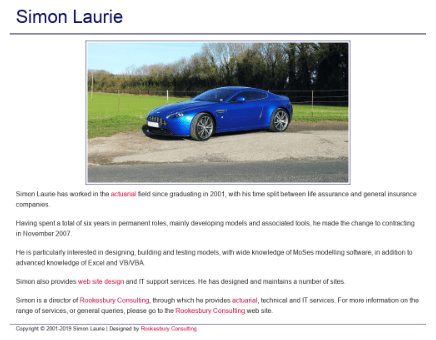 Purpose: A simple web site to promote actuarial and web design contracting work by Simon Laurie. 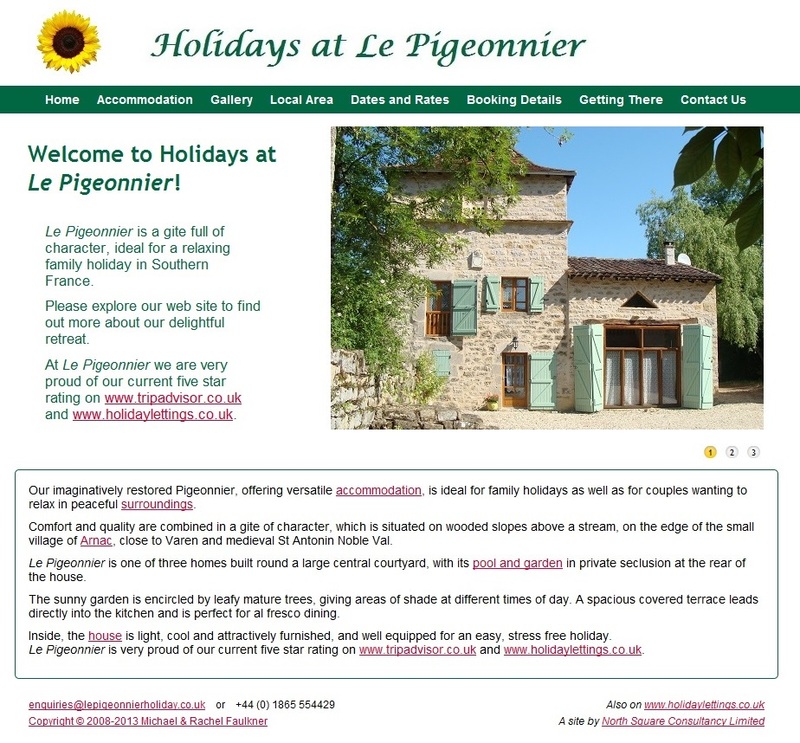 Purpose: To provide details of a 'pigeonnier' available for holiday rental in southwest France, including details of the property, the local area, how to book and contact details. The site includes a calendar page, showing colour coded rates and availability. Functionality has been added, so that the owners may update the information via a password-protected page on the site. The site is no longer live as the owner's have sold the property. 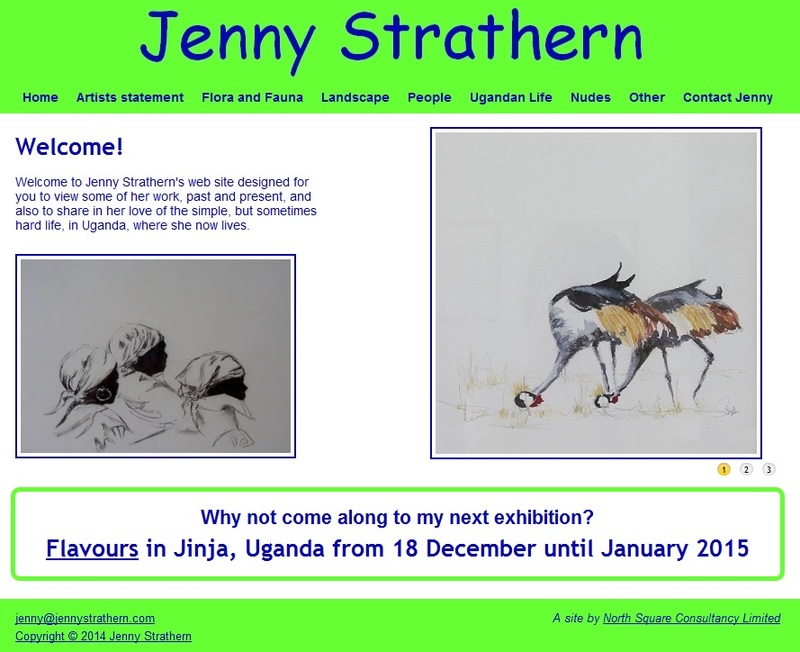 Purpose: To provide details of Jenny Strathern, an artist in Uganda. The site contains multiple galleries, an Artist's Statement, contact details and advertises her work and forthcoming exhibitions. 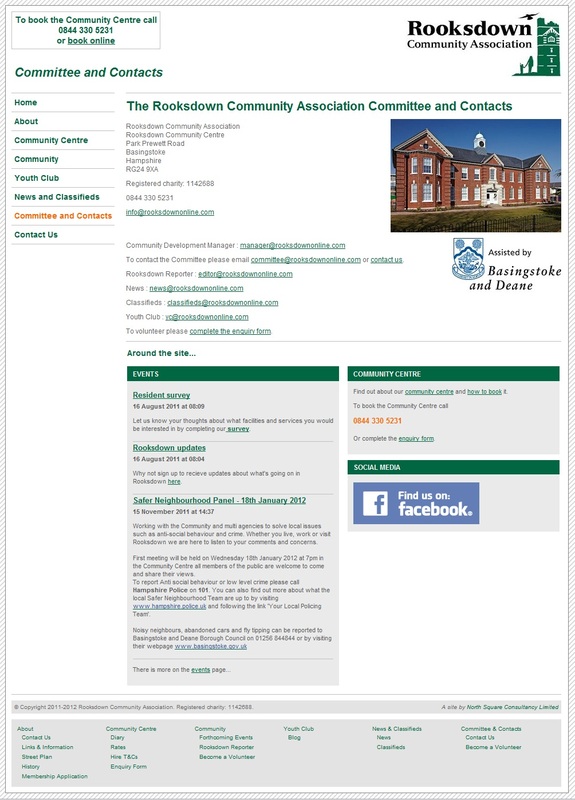 Purpose: To provide details of facilities and activities for the residents of the Parish of Rooksdown, near Basingstoke. The site includes a number of embedded blogs, an embedded calendar and a contact page.